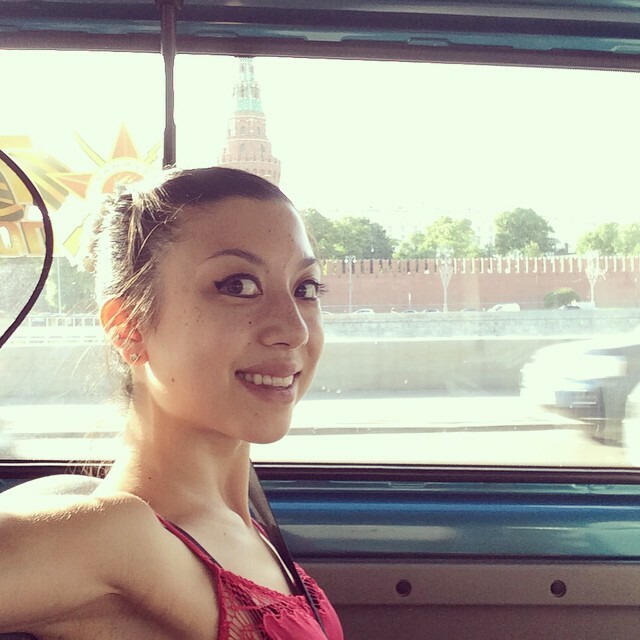 The start of my summer holidays began as soon as I finished my last exam on 11th June… and headed straight for the airport through the rush hour traffic. I only just made it to the plane on time! And safe to say, since returning home, the pace has really kept up as I’ve been busy preparing for my auditions, which will take place during my final, fourth year at the Academy. 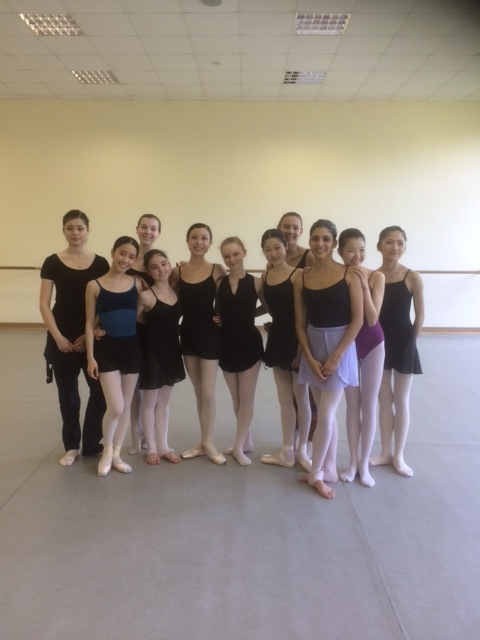 The last month at the Academy was really tough with rehearsals for the graduate show plus the academic and vocational exams. I’m pleased to say that the hard work we all put in for our exams paid off and have been great preparation for the hard work still to come over the summer. First of all, I had my audition photos done by Nicola Selby. This is the second time Nicola has photographed me and I’m so pleased with them again. Nicola is extremely professional, enthusiastic and, as an ex-dancer, knows exactly what is required to produce in each shot – I will post them shortly. Next, I had my headshots taken by my friend Chris Sedgewick which I’m really pleased with too! 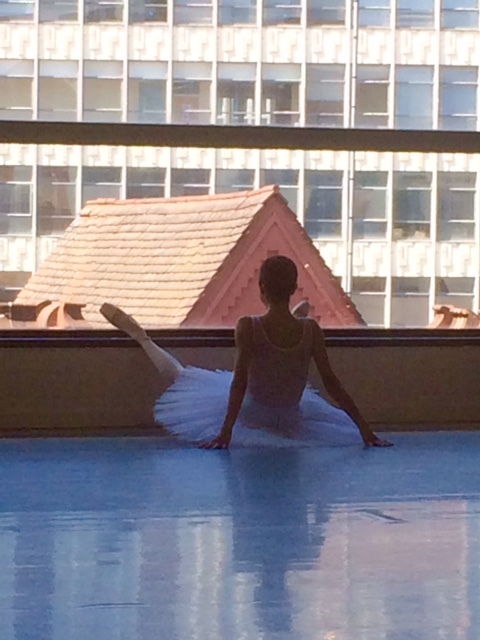 I then spent a week with Chika and Yury at Bristol Russian Ballet School. I love to train with Yury and Chika as I recieve personal, intensive coaching which really strengthens my technique and performance ability. I used the time during the week to plan my audition videos which I had booked in to be filmed after Bristol. 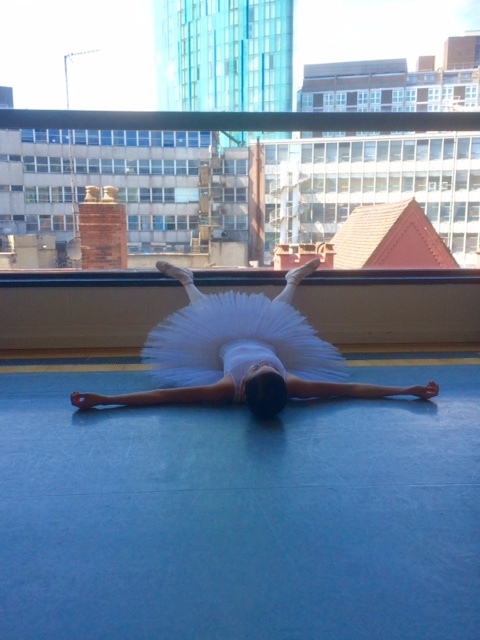 I’ve written about my week in Bristol here and included photos and a pas de deux video clip. My audition videos have been taken by Tim Cross who was fantastic to work with; as an ex-dancer, he was able to help me in an encouraging and calm way, enabling me to achieve the performances I wanted to capture. 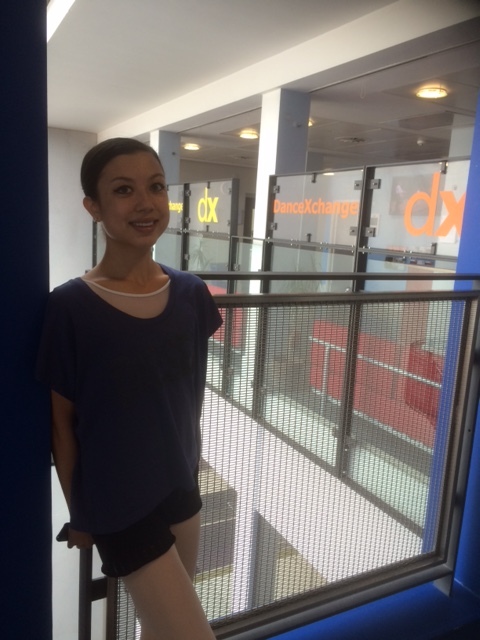 I travelled to the Dance Xchange studios in Birmingham for the film shoot, which were spacious and lovely to dance in. I’m really excited by what we were able to do during the shoot and am looking forwards to putting the separate components together to make the whole film. I finished off the video shoot with a trip to Manchester where the international Festival was taking place; there, I saw Tree of Codes, a contemporary ballet choreographed by Wayne McGregor which I had been looking forwards to for months! You can see what I thought of it in my review here. I’ve also done quite a bit or press and media whilst I’ve been home, mainly to promote my masterclasses at the end of July. The BBC wrote a really positive online piece which can be seen here. I’d planned a really exciting photo shoot to support the promotion, taken, again, by Chris Sedgewick, set in Barnsley locations to emphasise how proud I am of my Barnsley roots. I’ll upload the photos soon. So that’s been a busy few weeks. Needless to say, I am now looking forwards to a little bit of time off! Very interesting Tala – your hard work and dedication is paying off well done!